Keeping your house, flat or office clean can be a challenge – especially if it has needed to be properly cleaned for a while. But finding time to do a one-off clean is equally difficult. If you're a busy person and lack the time to do a thorough spring clean, then don't worry. Your cleaning woes are about to come to an end – thanks to One-Off Cleaning. We provide a high quality cleaning service here, using only the most effective materials for the job. We specialize in one-off cleaning services in Collier Row. Our experienced one-off cleaners does fantastic work, and they don't leave a single detail unchecked. 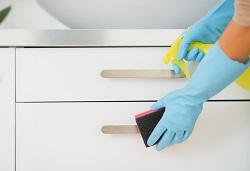 Just give us a call on 020 3397 3282 and you'll have the pleasure of a freshly cleaned home or office in no time at all. Just think about how a freshly cleaned space could improve your life – a clean smelling and looking place is an enriching experience indeed. And, once the one-off clean is taken care of, general cleaning maintenance will be far less of an issue! The best part about all of this though is the price – a full one-off cleaning from us is a genuinely affordable service. There's a reason we're rated as the number one cleaning provider in the RM5 area! Our number is 020 3397 3282. Get in touch with us to get a free price quote, and see how a thorough clean can benefit you. Collier Row is a small area of North East London. It makes up a part of the London Borough of Havering, and is a welcoming place to call home. It's a suburban development, with plenty of housing opportunity to be had, but Collier Row started out in life as a large housing estate in the 1930's – providing homes for those who desperately needed them. This camaraderie shines through to the modern day, as the area's community is one of the nicest around.Collier Row is located close to Romford, which is a bustling urban area. 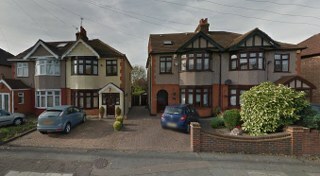 Romford is easily accessible from Collier Row via a range of Transport for London bus routes. Romford is where the closest railway station to Collier Row is located too, but it's not much of a journey. There are also a few educational facilities located in the region, and these have been awarded a lot of high praise. Parklands School on Havering Road has been given 'Beacon Status' for providing this area with excellent Primary and Junior schooling.So all in all, Collier Row is a fantastic place for a growing family to live in. A variety of affordable and quality homes, in addition to a solid educational system make it a real winner. And for high quality cleaning services in Collier Row you only need to look in one place. One-Off Cleaning provides an extensive cleaning package in the entire RM5 district that's accessible to anyone, regardless of budget. We are very proud of the high praise from our past (and recurring) customers, so we always do all we can to provide the best deep clean possible. If you live in Collier Row and think your home or office could do with a thorough one-off cleaning, get in touch with us via 020 3397 3282. Just a simple phone call is all that's needed to give your home the proper clean that you've always wanted!